As Dr. Tom O’Bryan mentions in the video, we need to use a pleiotropic approach (multiple ways) to turn around your current health issues and begin restoring the health of your gut. The Mild Case supplement package was carefully chosen to help turn off inflammation, stop oxidative damage, support hormones, heal the gut cells, reboot the gut flora and include extra nutrients you might be lacking because of being sick. What if I don’t tolerate dairy? Dr. Tom has been using this approach for years with some of the most sensitive people struggling with autoimmune disease and chronic illness. During that time, he’s worked with a lot of people that couldn’t tolerate dairy, but they did tolerate the PRP Spray and Colostrum powder. Of course, nothing is 100%, but the tolerance of these two products has been very successful. 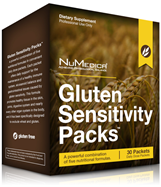 The Gluten Sensitivity PacksEach Gluten Sensitivity Support Pack contains five powerful nutritional formulas that work synergistically to inhibit the synthesis of lipids that signal inflammation in joints, muscle and connective tissues. A daily dose pack promotes optimal joint health and improved immune system response, as well as helping to inhibit the shift from acute inflammation to chronic inflammation. 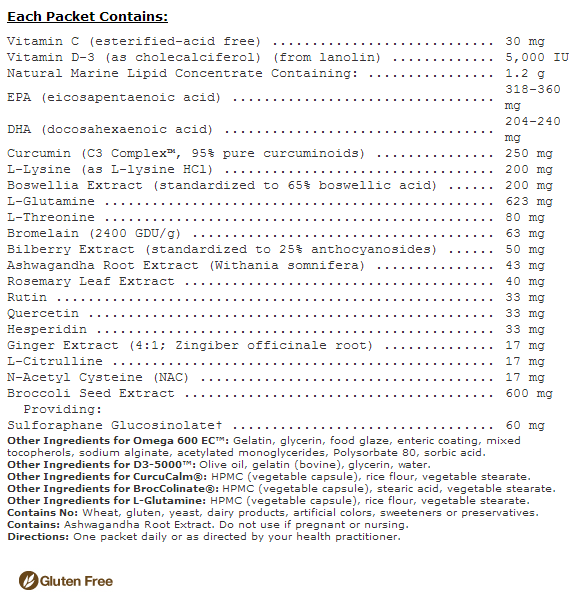 The GI Restore PowderThe GI Restore Powder is all natural, whole colostrum with immunoglobulins, proline-rich polypeptides, and natural growth factors. Colostrum has been shown to reduce gut permeability by reducing inflammation, protecting against irritation from toxins and promoting epithelial growth and repair. 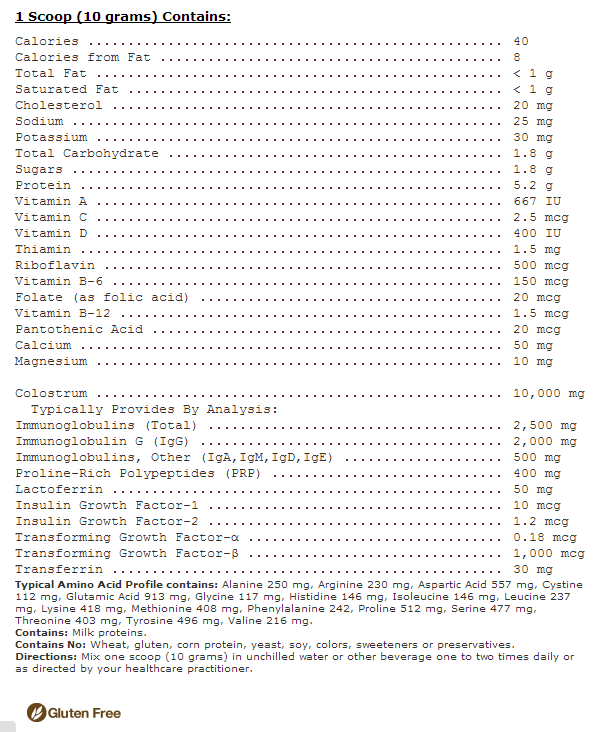 Micellized Vitamin D3Your body has vitamin D receptors on every cell. And while it’s called a vitamin, it’s really much more powerful than that. 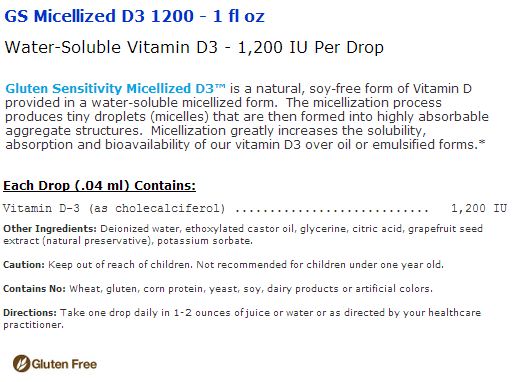 The GS Micellized D3 Liquid is all natural vitamin D3, provided in a water-soluble, micellized form. Micellization greatly increases vitamin D3 absorption, over typical emulsified forms. 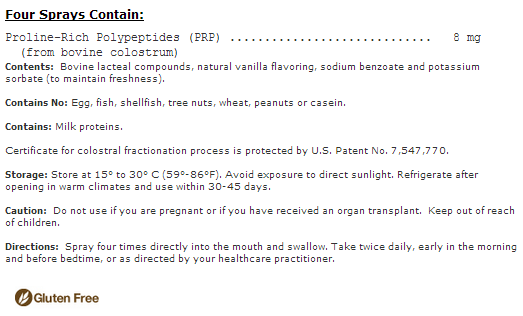 The PRP Balance SprayGS PRP Balance Spray is supplemental proline-rich polypeptides (PRPs) extracted from fresh colostrum. PRPs have been shown to have immune modulating effects ramping up the immune system in periods of immune stress and down regulating pro-inflammatory cytokines when gluten and other allergens are present. 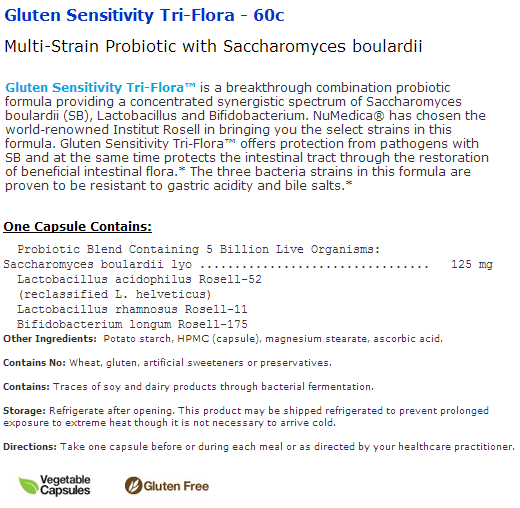 GS Tri-Flora ProbioticsGS-Flora Balance contains Saccharomyces boulardii, Lactobacillus and Bifidobacteria. These organisms work in two ways to boost intestinal health. Saccharomyces adheres to pathogens while Lactobacillus and Bifidobacteria adhere to epithelial cells and reinforce the intestinal barrier. 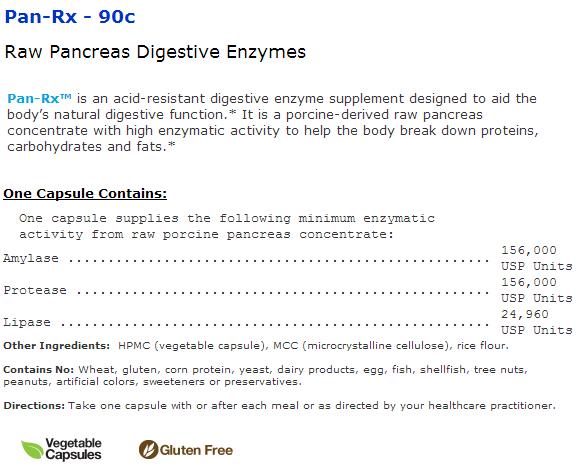 The three bacterial strains in this formula are proven to be resistant to gastric acidity and bile salts.